I was telling Vanessa that she should concentrate in our Business Finance lecture. 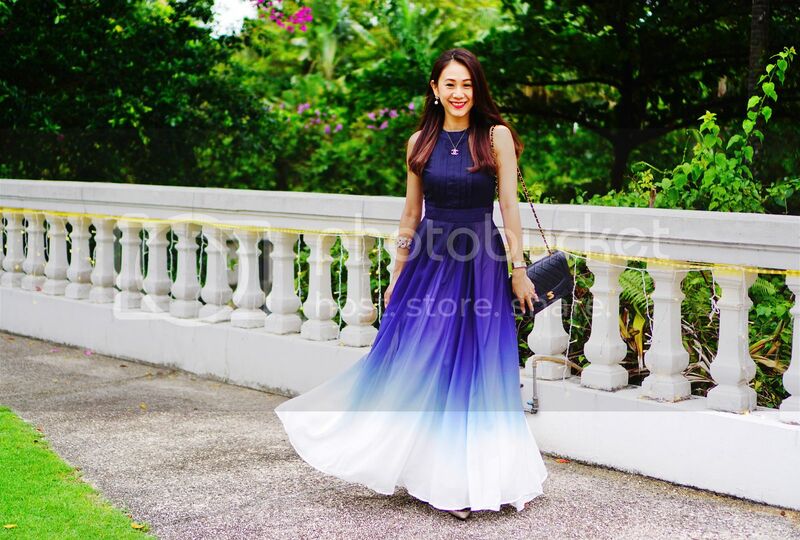 I was SMSING during break and charles showed me a picture! Vanessa asked, "Zoe! Honestly, how many SMSES do you send every month!" Vanessa: "You make your service provider RICH!" Youth plans, specially catered to students like you and me, as well as NSF personnel! UNLIMITED FREE smses to ALL SERVICE PROVIDERS! Yes! Not just to SingTel subscribers, but to friends who use other mobile lines too! FREE CAMPUS CALLS from 37 institutes! Above this, tertiary students studying at NUS, NTU, SMU, SIM (which is ME! ), and polytechnic and ITE or JC are entitled to FREE CAMPUS CALLS FROM YOUR CAMPUS TO ANYONE! Specially for the Ah Bing Ge (s) in Singapore! Yay!! My NSF friends are always complaining that they are getting peanuts and never have enough to spend! 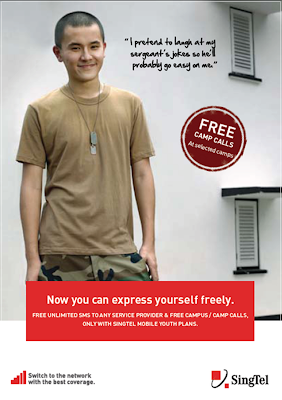 SingTel is giving all NSFs FREE CAMP CALLS from selected camps to anyone! HAHA! This is really good! Jay! Stop getting me to "CALL ME BACK" WITH MY HOUSE PHONE! That stingy pok!!! Free broadband on Mobile Lite!!! HEHE! Now i can check out on facebook updates in lectures! MUAHAHA! Don't blame me, but certain lectures really bore me! And SingTel decided that we youths, deserve more! These value services SingTel is throwing in, actually amounts to $195!!! And last goody to share!!! And mind you, prizes are X2! Your friend gets it, YOU get it too!!! Here’s your chance to win fab prizes for you and your friend when you recommend your friend to sign up for a new SingTel Mobile Youth Plan. If the friend you referred has successfully signed up for SingTel Mobile Youth Plan, you will get to pocket $20 shopping voucher and your friend will get $50 off on any 3G/3.5G handset. So the more friends you recommend, the more vouchers you can get!! 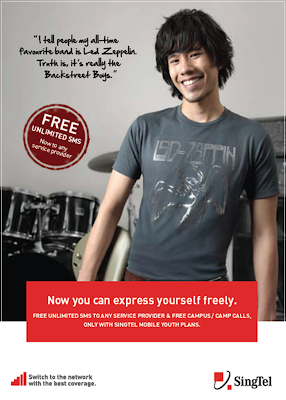 www.singtel.com/bestyouthpromo for more info now now!!! !